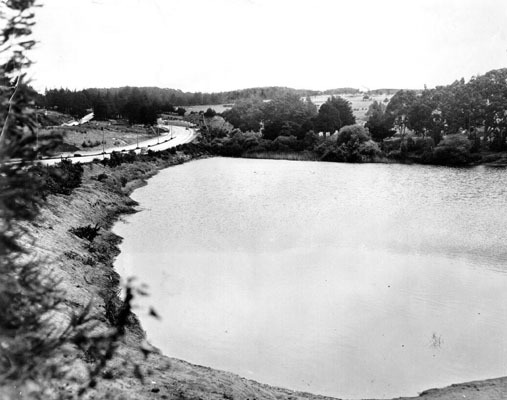 Mountain Lake in the Presidio, c. 1890. 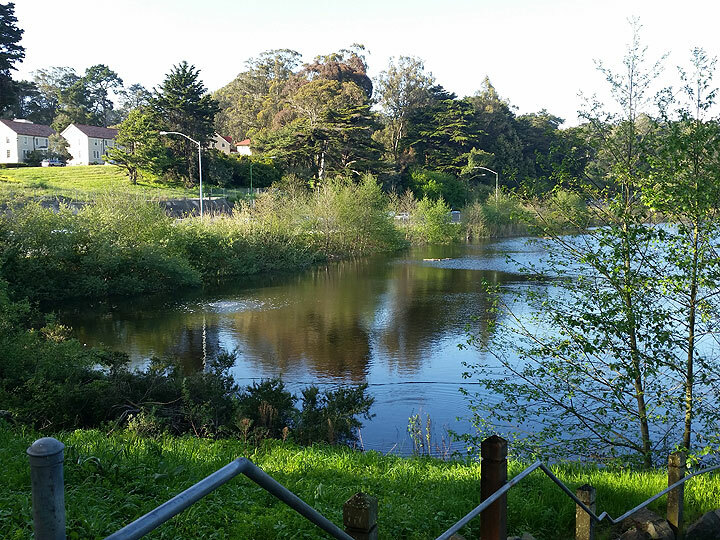 Several water landmarks populate the Presidio. 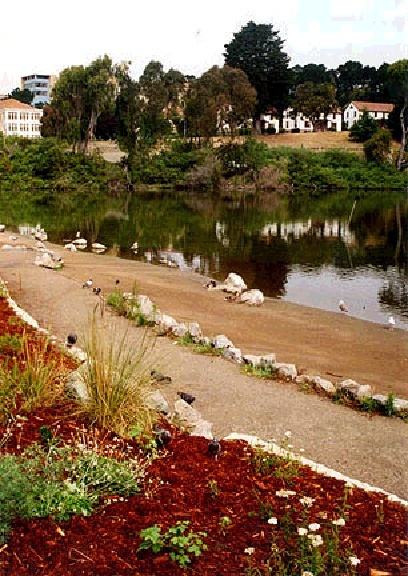 Mountain Lake near the corner of Lake Street and Park Presidio (where Highway 1 enters the tunnel on its way to the Golden Gate Bridge) was one of San Francisco's earliest sources of fresh water. In the past decade it has undergone extensive restoration. 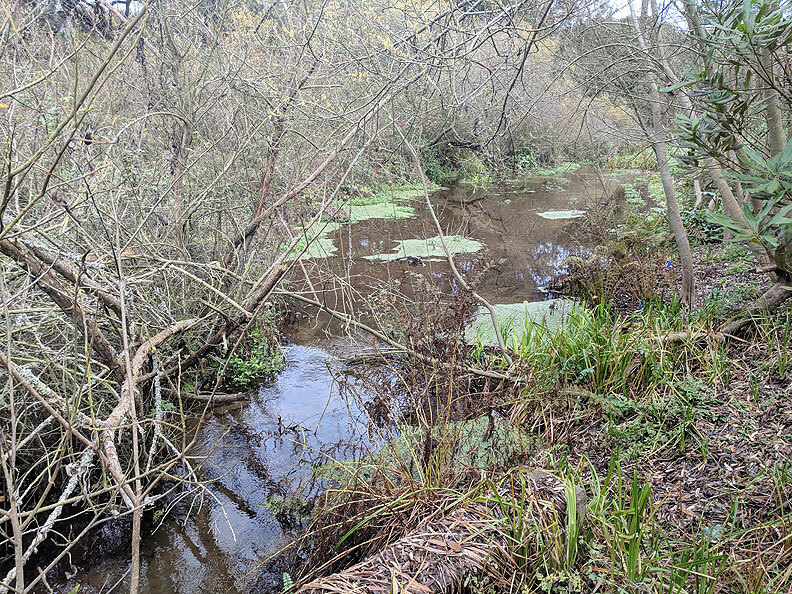 Lobos Creek, whose source is the surrounding watershed from Golden Gate Park to the ridges above Lobos Creek valley in the Presidio, remains one of only two original creeks still running on the surface in San Francisco (it ends at Baker Beach and the Pacific Ocean). 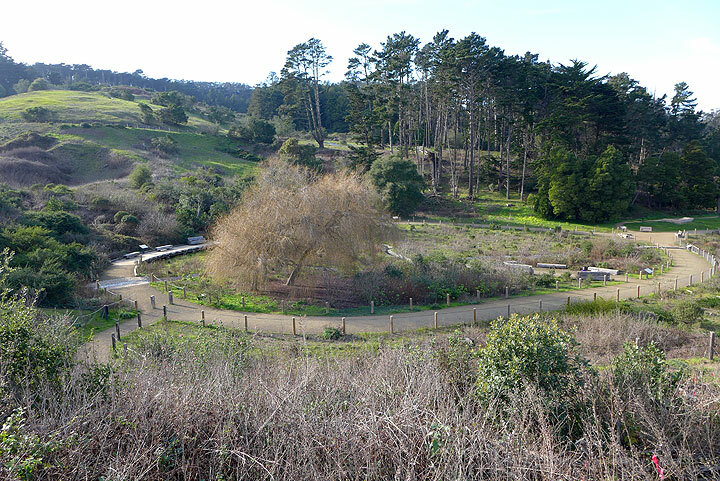 Famously, El Polin Spring was an important water source for the original Spanish soldiers at the Presidio, and has also been recently restored and refurbished by the National Park Service. Excellent interpretive signage helps make historic sense of its surroundings after decades of neglect. 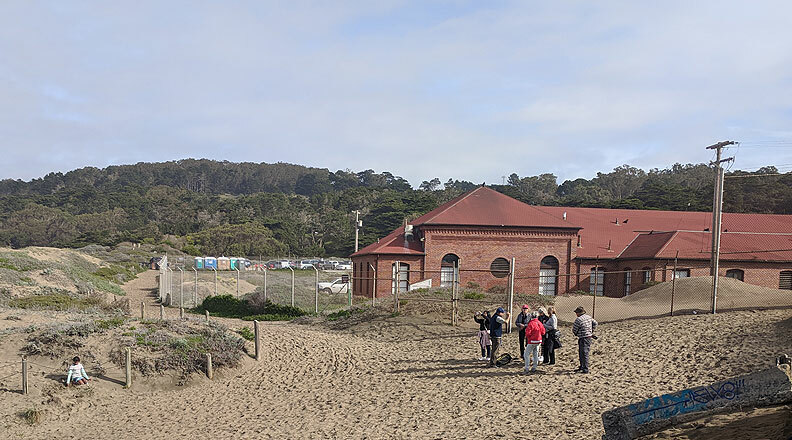 The water courses from El Polin through MacArthur meadow and Tennessee Hollow to drain in the Crissy Field marsh, another interesting and successful restoration effort since the Park Service has taken over the Presidio. Mountain Lake after an extensive clean-up and restoration, March 2017. Highway 1 is well hidden from the Lake even though running along its western edge, March 2017. 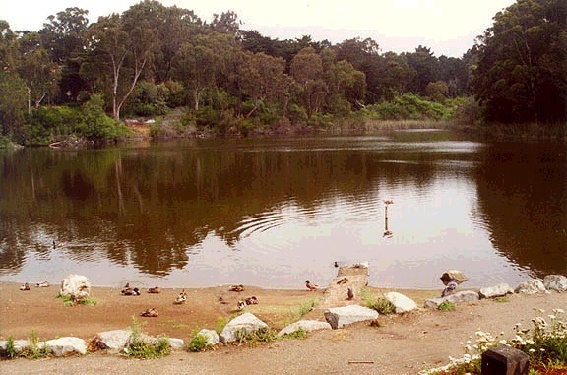 Mountain Lake in 2000. Overrun with invasive species and suffering long-term neglect, the park has undergone a thorough upgrade since this photo in 2000. Waterfowl at Mountain Lake in 2000. 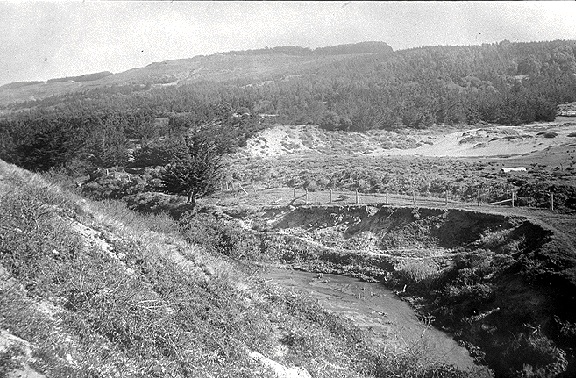 Lobos Creek, seen here in 1958, which drains to Baker Beach, is one of only two creeks that still run above ground in San Francisco. 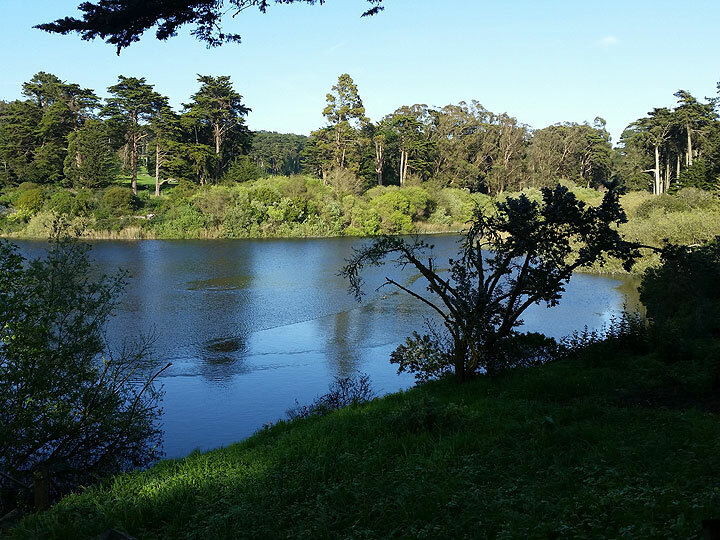 It provides 4 million gallons a day of fresh water to the Presidio. 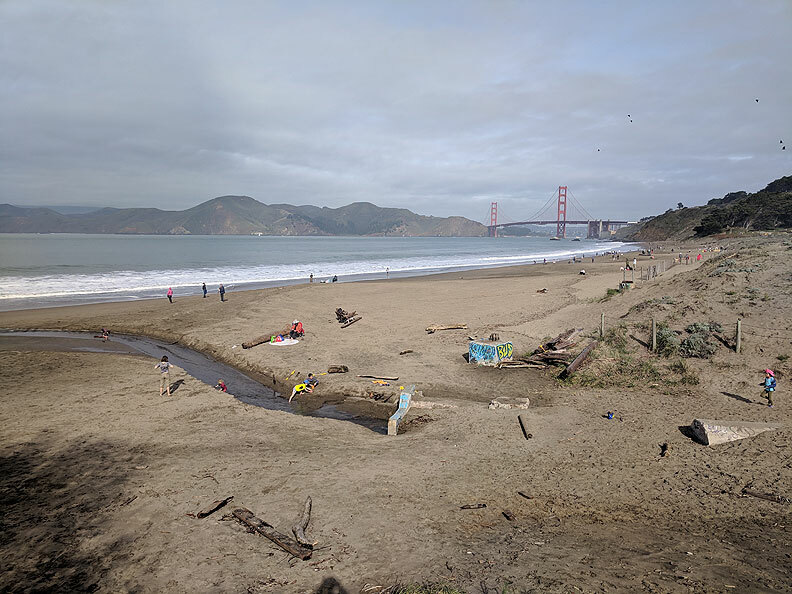 Lobos Creek draining into the Pacific Ocean at Baker Beach, January 2019. 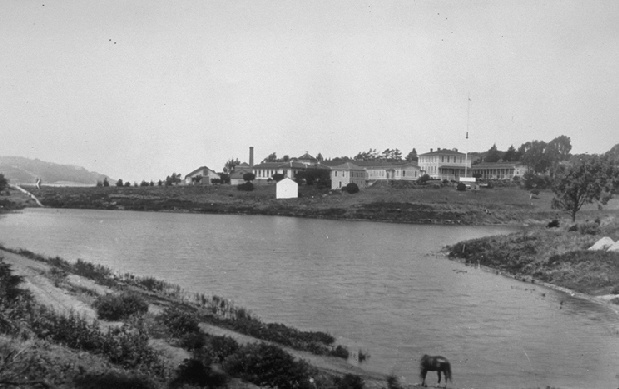 The original U.S. Army water treatment plant, c. 1910s, making Lobos Creek potable for use in the Presidio. 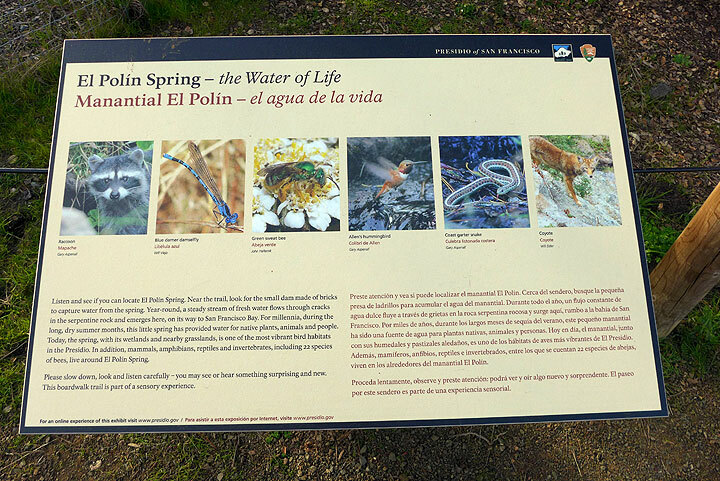 El Polin Spring in January 2015. 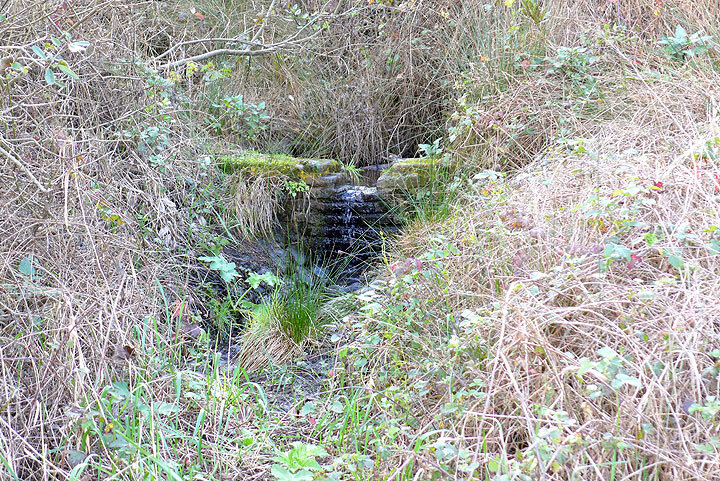 The actual spring, quite small as you can see in the photo above, is just off the upper left corner of this oval which features a number of well designed interpretive signs.